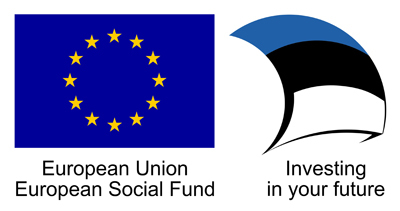 Business idea development program by Tallinn University, Tallinn University of Technology, Estonian Academy of Arts, Estonian Academy of Music and Theatre, Estonian Business School, Estonian Entrepreneurship University of Applied Sciences. Two parallel programs STARTERcreative and STARTERtech joined hands to one STARTERtallinn program from Spring 2019. At the STARTERtallinn Launch Event we offer you inspiring speeches on different areas of life and future. We will have a mega idea generation workshop. If you have an idea – you can share it with others and get feedback; if you don’t have idea yet – this is the opportunity to come up with wonderful ideas which you can develop in your team throughout the STARTERtallinn programme. Juko-Mart Kõlar (Co-Founder at Fanvestory, Member of the Board at Estonian Author’s Society). What does it mean to be an entrepreneur? How do teams work, what can go wrong and why is leadership necessary? Team building and leadership dynamics. Getting to know other people and their ideas. Creating the teams. Juko-Mart Kõlar (Co-Founder at Fanvestory, Member of the Board at Estonian Author’s Society). What do you do and for whom? How do you do it and why is it better than the things your competitors do? What are business models and why do we need them? What are the business model components and how do they fit together? Learning to put together a value propositon for your product or service. Let’s start building a business model for our ideas. It’s never about dumb luck, it’s about putting together a puzzle. We’ll show you how. Time to meet the supervisors. Let’s discuss progress, problems, plans. Time for feedback. Let’s discuss progress, problems, plans. Practicing a short pitch (the investor game). Are you ready for the biggest mentoring event in Estonia? Come and chat with more than 50 local and international experts and ask their feedback. Need feedback about business models? We’ve got you covered. Need advice about product development? We have a mentor for that. Stuck with programming? We have a mentor just for that as well. We’ll pick the mentors based on your ideas and needs. It doesn’t get any better than this. April 1st: The basics of marketing and sales. April 8th: What you should know about finances, taxes and legal issues? Session experts are from Deloitte and Avokaado. What do you need to know about money when you start working on your very first company? No, you don’t have to become an accountant, but there are a few things to keep in mind. On the other side – is your idea worth something? Can someone steal it? What to protect and why? Time for focusing on the one-pager. Let’s discuss progress, problems, plans. April 22nd: How to pitch your idea? Harald Lepisk (CEO at Victory Trainings). How to present your idea to people who don’t know you? How to win them over and make them allies, clients or investors? Why is communicating your idea important? What are the common pitfalls and how to conquer them? Time to present you idea to the jury. Prepare your 3 minutes pitch and slides before the session. 10 best teams present their idea to a jury of experts and have a shot at winning cool prizes from our sponsors and partners.